Our specially made Reebok Medicine Ball has the same fantastic construction as our Standard Medicine Balls, only with a different design to incorporate the fitness pioneers, Reebok. Made in a stand out red, this medicine ball makes the perfect balance and strength enhancing tool, available in weights from 4lbs up to 30lbs. 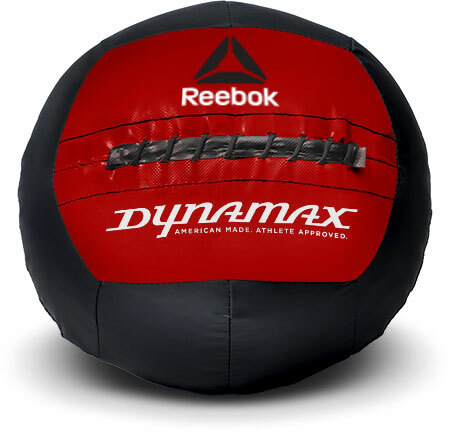 All Reebok Medicine Balls are 14” in diameter, moisture resistant, and are made from 70% post-consumer recycled materials. The design and construction ensure that they will remain dimensionally stable and balanced. Our trade secret and craftsmanship guarantee that each ball, regardless of weight, has a friendly feel and will absorb high-velocity impact, making for a fun and vigorous workout. Try a hand at some medicine ball exercises involving twisting motions, bending and throwing to help improve your strength and endurance.